It's another short one, a looped beat that doesn't quite reach the 2-minute mark. However, it is also two other things simultaneously: the latest track from Bangladeshi beatmaker Findserene (as in "Find" and "Serene"), and also the perfect track to suit its creator. As you can see, the title is in Japanese: roughly it means 'Forever, Fall In Love With Me' – for now, let's call it that. 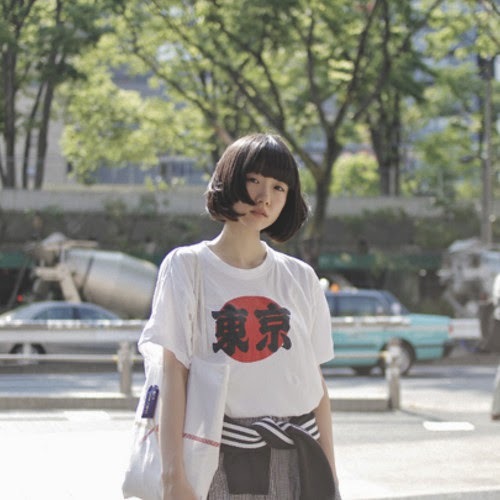 On the other hand, it reflects Findserene as an artist; one trip to her Tumblr will tell you about feeling like an outcast because of her interests (anime, Japanese culture), and how she one day decided to just make beats, despite what anybody might have said. And in this creative outlet we see and hear Findserene's interests surface, turning herself into a kind of cultural conduit, a nation-bridging spirit from Bangladesh's Faridpur District. The track itself is delicate and dreamy, a hypnotic lo-fi sound with a thin mist of a beat adorned with shimmying shakers and popping electronic toms in place of kick-snare patterns. Glittering melody cascades through the low, sparse membrane of the drums, like old memories flooding into a heart full of longing. The fade-in & fade-out makes it seem like we have just been blessed with a brief opening into a very serene place indeed, like walking down a street and hearing the murmurs and sounds of living from windows up above; the heaven of now. You don't necessarily need very long to tell how good someone is at making music, or how well they can inject their own emotion into their creative output – almost as if the two were one and the same – and 'Forever, Fall In Love With Me' is a perfect example of that. Let's hope there are more & even greater things to come from this musicmaker in the future! What you can do in the meantime is check out Findserene's debut EP 2202, released via Magic Yume Records.